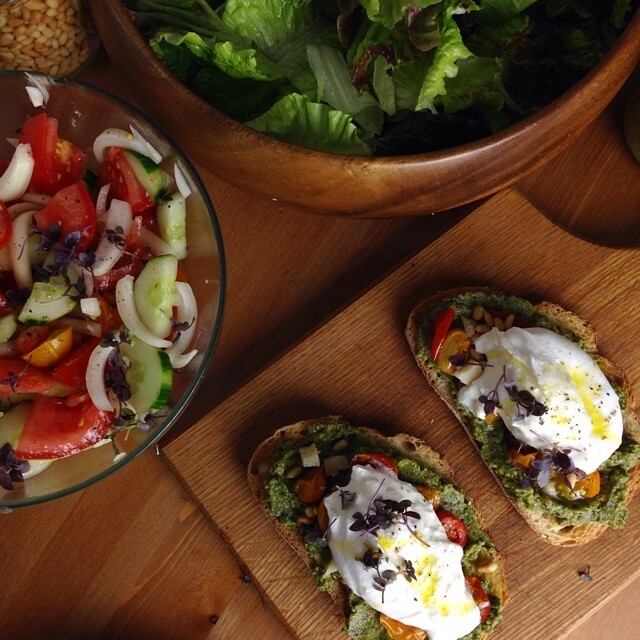 Summertime dinner: summer squash pesto bruschetta with micro basil, roasted cherry tomatoes and burrata. Red leaf lettuce with tomatoes, cucumber, vidalia onion and lemon olive oil dressing. All straight from the farmer's market.